He is 7 inches tall and made from a chocolate brown alpaca.. 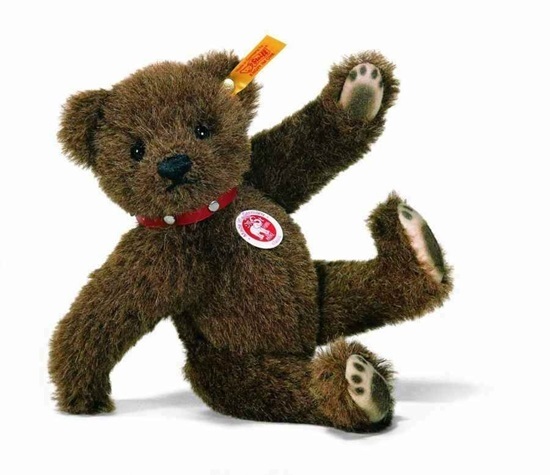 This Classic Teddy by Steiff is made from a chocolate brown colored alpaca. He is fully jointed, is 7 inches tall, and is surface washable. He has black safety eyes and a hand stiched nose and mouth. He comes wearing a red leather collar that can be removed. He was created in 2006 and retired in 2009. He has a yellow tag "Button in Ear".